The programme will help call handlers to effectively identify if a hate crime has been committed and provide a professional and empathetic response for people who may have suffered personal abuse..
Money provided by the Home Office will allow for the distribution of training resources to police forces, which will be delivered by the National Police Chiefs’ Council in partnership with Facing All The Facts, which tackles hate crime and hate speech across Europe. It is part of the government’s crucial work to tackle all forms of hate crime, support victims and protect the vulnerable from this horrific abuse. Later this year the government will be updating its Hate Crime Action Plan to provide further measures to tackle the five hate crime strands – race, religion, sexual orientation, disability and transgender identities..
Latest official statistics show more than 80,000 hate crime offences were recorded in 2016/17, with hate crime based on religion up 35% on the previous year..
Home Secretary Sajid Javid and the Secretary of State for Housing, Communities and Local Government James Brokenshire will co-chair 2 roundtables to discuss Islamophobic and Antisemitic hate crime as part of our broader work to respond to concerns from within communities.. The roundtables will expand on the work being done by MHCLG’s Cross-Government Working Groups on Tackling Antisemitism and Tackling Anti Muslim Hatred. 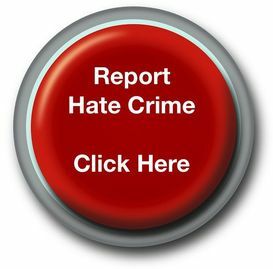 This has seen the creation of a guide to support hate crime victims, a guide to moderate online hate content and ongoing collaboration between the Anti-Muslim Hatred Working Group and IPSO to encourage sensitive reporting..
Home Secretary Sajid Javid said:. “Hate crimes are totally unacceptable and have no place in British society. I understand the fear, anguish and anger they can cause..
“Those who have the courage to report these vile crimes deserve as much support as possible. That is why we have provided funding to give police call handlers expert training to spot the signs and respond compassionately..
“I will also be asking my Anti-Muslim hate crime and Antisemitism roundtables to identify what more we can do to stamp out hate crime.”. Secretary of State for Communities Rt Hon James Brokenshire MP said:. “I look forward to the roundtables on Islamophobia and Antisemitism later this year to help take forward vital work to tackle hate crime at its core..
“Hate crimes have a devastating effect on both the victim and a wider impact on society as a whole. We are clear that hate crime of any form is completely unacceptable and we are working to ensure the police and our justice system responds effectively to hold perpetrators to account.”. The action comes after Baroness Williams, the Minister for Counter Extremism, hosted a roundtable with social media companies and charity Changing Faces to discuss what further action can be taken to help protect people with disfigurements and visible differences..
During the meeting the minister was given first hand accounts of the abuse individuals have received, both online and offline, and pledged to continue working with social media companies to tackle online abuse..
Minister for Counter Extremism Baroness Williams said:. “No one should feel the only way to deal with hateful comments is to develop a thick skin. It was truly shocking to hear the venomous abuse aimed at innocent people just because they look different..
“During the roundtable I was pleased with the progress social media companies have taken but I am clear we must all go further in tackling this problem and it is something we will address in our updated Hate Crime Action Plan.”. Chief Executive of Changing Faces Becky Hewitt said:. “Changing Faces was incredibly grateful to see how invested the attendees of the roundtable were in understanding what it’s like to live with a visible difference in an online world - Whether it’s abuse, unfair treatment, or a lack of awareness around moderation and reporting inappropriate content and behaviour..
“It was brilliant to see the constructive commitments of government, policy makers, social media companies and technology companies all of whom have are taking steps to ensure best practise when supporting inclusivity and safety online. We look forward to supporting them however we can.”.